While non-paying sites can offer some great benefits, payment is a coveted, and often necessary, element many bloggers are looking for when they submit their work. For this reason, I have been saving up some of my favorite posts I’ve read on this topic to present to you in this yummy round up! 100+ Work From Home Writing Jobs on Real Ways To Earn – Focusing on companies that hire work from home freelance writers on an ‘ongoing or semi-regular basis’, this article includes lots of Textbroker-style content sites as well as revenue sharing sites and some submission-based sites offering higher pay. 9 Freelance Writing Sites That Pay 10 Cents Per Word Or More on The Work At Home Wife – Offering quite a few sites I had not previously heard of, this short list also includes some places that will pay you to write buyers guides. 75+ Paid Writing Opportunities on The Work At Home Woman – This list is broken into categories of Blog Writing, Freelance Writing Platforms, Revenue Sharing Sites, Travel Writing, Greeting Cards, Helpful Tips & Short Stories, Recipes, Resumes and Romance Novels — whew! It also includes 5 job boards for writers. 18 Sites That Pay You To Write Guest Posts on Real Ways To Earn – This is a fairly short list of submission-based sites that accept and pay for guest posts. Dollar amounts are included for most. Directory of Opportunities For Bloggers To Submit Writing And Get Paid on Beyond Your Blog – My personal favorite, this list on our site is updated each week with new paying opportunities. 5 Paid Flash Fiction Magazines Taking Submissions Now on Mandy Wallace – Write Or Die – The only all-fiction list in this round-up, all 5 listed accept work from previously unpublished writers. Bloggers: 10 Places To Get Paid For Your Writing (Volume 1) on Mommifried – Ranging from The Virginia Quarterly Review, to Smithsonian Magazine, this list has mostly higher paying publications that would typically appeal to experienced writers. Bloggers: 10 Places To Get Paid For Your Writing (Volume 2) on Mommifried – With a mix similar to her first volume, Mommifried also mixes in some publications that previously unpublished authors might consider in this second volume. Freelance Rates Database on Contently – ‘Database’ is probably a stretch to describe this listing of publications with approximate payment amount next to each. The sites are not linked, so you’d have to Google to find the site link and submission guidelines (as well as descriptions). The benefit is that $ amounts are included and there is a LOT of data! 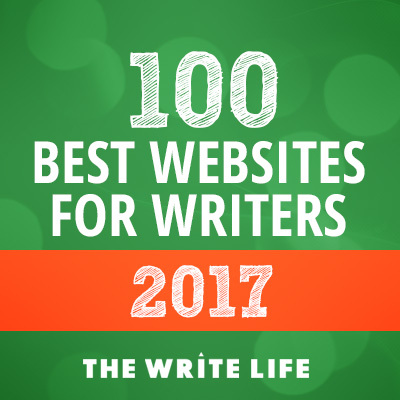 38 Websites And Blogs That Pay Writers $100 Per Article And More (Updates For 2015) on All Indie Writers – This is a great resource if you are looking strictly for online markets that have opportunities paying over $100. Writer’s Markets (Searchable Database of 240+ Paying Markets) on All Indie Writers – If you liked the previous article from All Indie Writers, you’ll LOVE this searchable database of paying sites that you can filter by keyword or category. Freelance Writer Rates: Who Pays The Most Online on Matador Network – This article contains some interesting information about print vs. online rates and also lists 25+ publications, with the higher end paying up to a dollar or more per word. 110 Websites That Pay You To Contribute An Article on Writers In Charge – 70 sites are listed at this link, with the additional 40 available via a .pdf download. Approximate payment info is given for each as well as the types of articles they are looking for. 20 Highest Paying Media Sites For Freelance Journalists on The Web Writer Spotlight – If you are looking for the high rollers, this is your list, with all entries having reports of paying $100 on up per piece. Make Money Writing Articles: 37 Blogs That Pay Up To $300 For Your Guest Posts on Minterest – Not only will you find an extensive list complete with dollar amounts, read on to see tips on searching for more sites that pay, and pitching once you find a potential publication. Freelance Writing Jobs: 25 Sites That Pay For Guest Posts on Daily Finance – A mix of sites that pay for guest posts – about half I recognized and half were new to me. What’s your favorite source for finding paid blogging/writing opportunities? Leave a comment and let us know!